Nearly all of consumers (97%) search for local businesses online. And 95% of those consumers will call or visit the top seven businesses that Google lists. Is your business listed in those coveted top seven spots? As a business that needs local customers and foot traffic, you need to ensure that local customers can find your business when they search using keywords associated with your product or service. Sweetgrass Marketing offers local search engine optimization (SEO) services to help local businesses market their products and services to a specific geographical location. To market your business to local consumers, you need a Google+ Local page with accurate information about your business, positive reviews, and attractive pictures and videos. Plus, you’ll need other business directories to list your information to enhance your Google+ Local page. 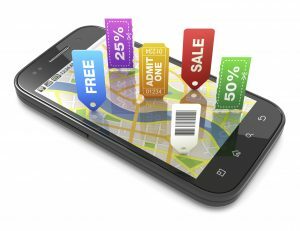 Sweetgrass Marketing offers a wide range of services to help your business connect online with local consumers. When consumers search locally for businesses, you want your business to show up on Google’s map. Sweetgrass Marketing can help promote your business into Google’s top spots. We’ll create your Google+ Local page with accurate contact information, business description, photos, and videos that help promote your brand and image. While you’re busy providing products and services that warrant good reviews, we’ll create a plan to accumulate positive online reviews from your satisfied customers. Those positive reviews help propel your business into Google’s list of local businesses. Though Google is the most popular search engine, we also create a local business presence with Bing and Yahoo, two of the other major search engines. To ensure your business’s Google+ Local page continues to climb in Google’s ranking, you need other local business directories to validate your business’s online presence. While you could manually update your business profile on every possible local directory, Sweetgrass Marketing can automatically distribute your business profile on more than 300 local business directories. We’ll keep your information up-to-date, so your customers easily find your business on the map and on the Web. Your attractive website design welcome them to your business’s homepage, encouraging them to stay a while, contact your business, and become a customer. Your business needs a local SEO strategy to attract local customers. Sweetgrass Marketing in Charleston, S.C., can help boost your sales and profits.